The dream is now a reality. Be the first to stay in our BRAND NEW villa. Immerse yourself in luxury. 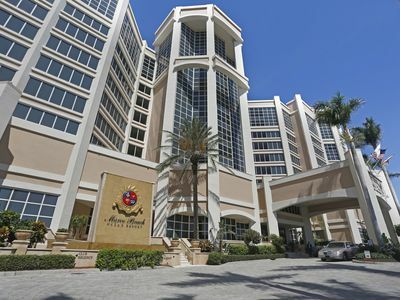 If you like Marco Getaway, you’re going to love Marco Getaway 2. 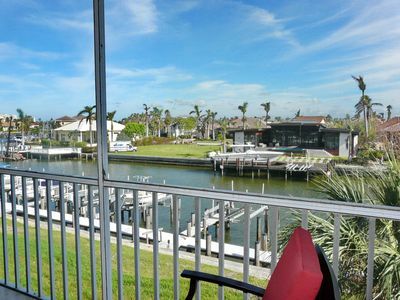 Prestigious Copperfield neighborhood with views of wide, converging waterways. Southwest exposure affords breathtaking sunset views and tranquil breezes. Yes, we really thought of everything. The heated saltwater pool has a spa plus a built in table for those days that it’s simply too nice to get out of the pool. Your skin will feel silky smooth in the salt water - you'll appreciate the difference! Did we mention there’s a second floor balcony/deck? Don’t forget the third floor observation deck! 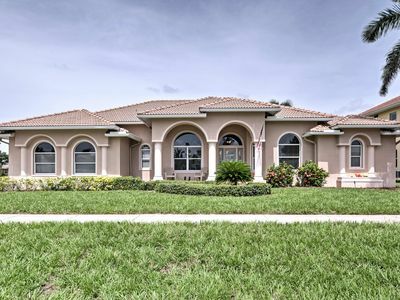 Four bedrooms, 4.5 baths with a pool bath & outside shower. Master suite boasts a jacuzzi tub plus an enormous rainfall shower - tilework that you just have to see! Gourmet cherry, granite & stainless Jenn-Air kitchen overlooks living room fireplace, pool and lagoon. 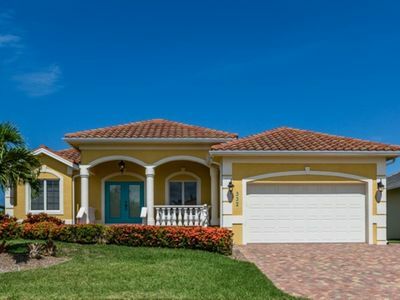 Second floor features two private bedrooms with individual baths, family room with a wet bar and deck overlooking the water. Start packing - luxury awaits! 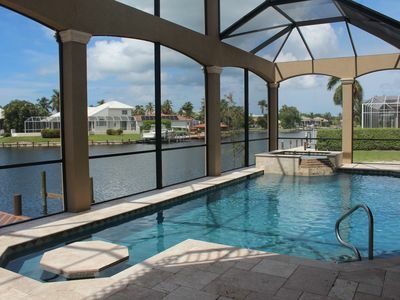 Marco Getaway 2 - a private, upscale waterfront home featuring a pool with waterfall hot tub nestled on a lagoon. Pack your toothbrush and swimsuit - everything else is here! 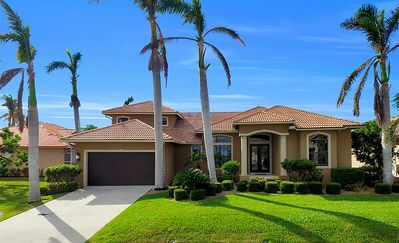 Why settle for a hotel when you can vacation in luxury in a 4 bedroom 4 1/2 bath home? Spoil yourself - Winston outdoor patio furniture just like the Riz Carlton. It's your own exclusive resort in tropical paradise. 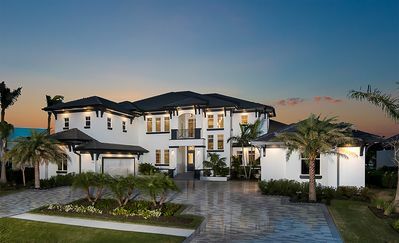 Home sleeps 8 - Open floor plan features soaring ceilings, 4 bedrooms, 4.5 baths,pool bath, outdoor shower, living room with fireplace, gourmet kitchen with cherry cabinetry, granite counters and state of the art Jenn-Air stainless appliances. 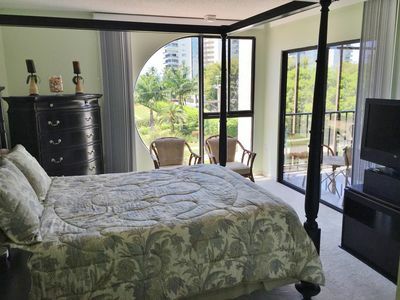 Morning room overlooking pool & lagoon, formal dining room, pool w/ hot tub & integrated swim up table. 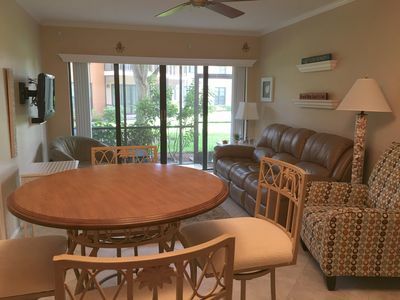 Lanai has covered dining area plus open area for lounging. Second floor family room with wet bar and covered deck is the perfect spot to watch picturesque sunsets. Unbelievable views of the island from 3rd Floor Observation Deck. 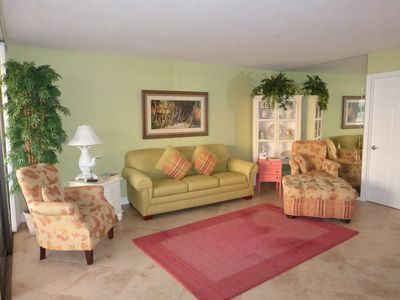 Tastefully decorated with a tropical flair. New furniture & flat screen HD TVs throughout. Private dock on lagoon. 10% off boat rentals! 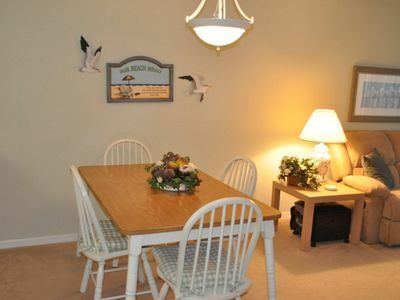 Guests are welcome to use bikes, beach chairs, coolers, beach towels, coolers, fishing poles. 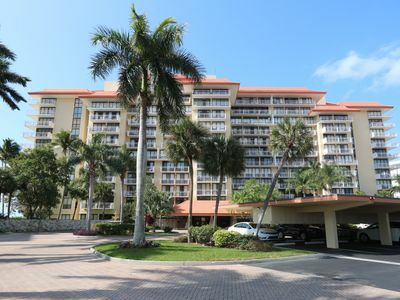 Relax by the pool or bike to the nearby white sand of Tiger Tail beach, restaurants and attractions. Something for everyone to enjoy! 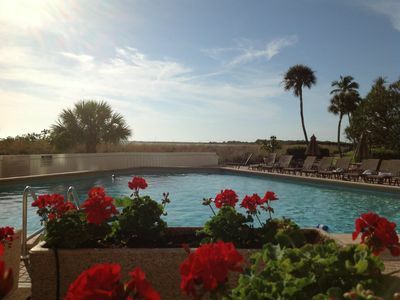 Chill by the pool while you check your email or surf the net using our Free Internet. Watch for dolphins and manatees in our lagoon! Nature lovers can walk the pristine white sand beaches, go for a bike ride to explore the island, or take an ecotour. For the adventurous, try parasailing or a helicopter ride. 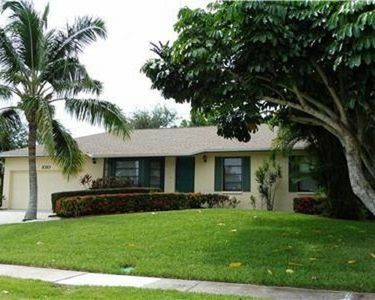 Beautiful golf courses are nearby. Shopping? Plenty of boutiques and outlet stores to find that unique gift. Why not take a sunset dinner cruise on the Marco Princess? 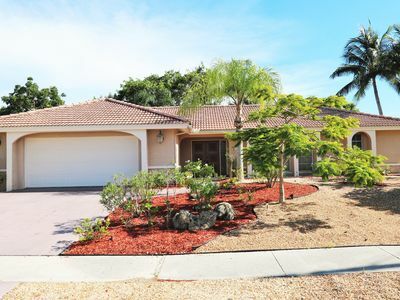 Tropical paradise island without ever leaving the comforts of the USA! Yes, there's a Starbucks, Dunkin' Donuts and Cold Stone Creamery right on the island! Newly Renovated, Top Floor, Gorgeous Waterfront View/2019 availability! 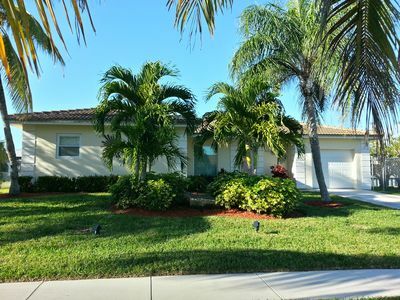 Luxurious home on Quiet Block, Just Seconds from Marco River!!! True Happiness In Paradise! Close To Everything! Heated Pool! 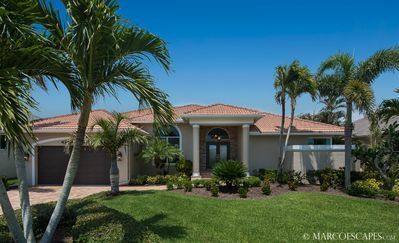 MERIDIAN BLU - Large Eccentric 6 Bedroom with Southern Exposure and Wide Water Views !! 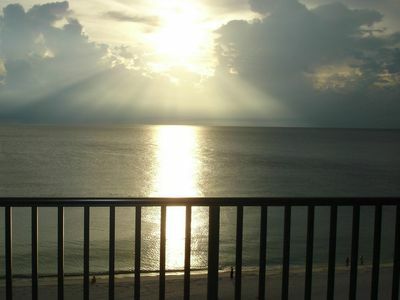 MARCO BEACH OCEAN RESORT Suite 612, West Facing Balcony - Sleeps 4! 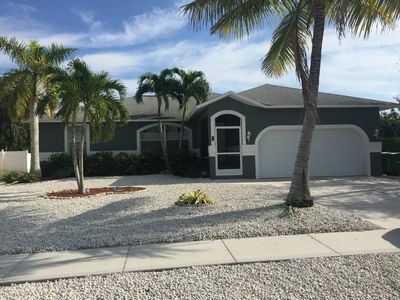 COPP332 - Beautiful waterfront home! NEW! 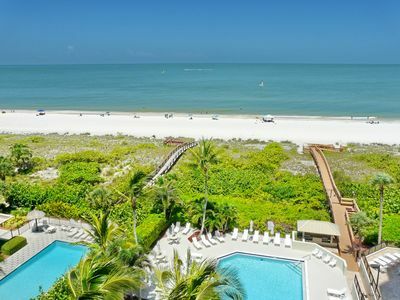 Luxury Marco Island Getaway w/Pool & Lanai! CABO LUCA - Wide Waterfront Views of Hartley Bay!